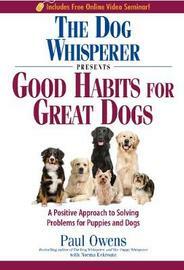 Following the success of his books The Dog Whisperer, 2nd Edition and The Puppy Whisperer, Paul Owens introduces a groundbreaking new approach to addressing and solving specific problem behaviors-and encouraging great ones-in his newest book. Encompassing the author's nonviolent, positive training methods, this guide is a shortcut in the training process as it uses the innovative concept of training by automatic habit-making it possible to eliminate dogs' problem behaviors in a shorter time than ever before. Enhanced by forty demonstrative black and white photographs, this step-by-step book makes dog training so easy, it's impossible not to see immediate results, translating to happier dogs-and thrilled owners. Paul Owens has been training dogs for over 35 years and is the author of the bestselling book, The Dog Whisperer: A Compassionate Nonviolent Approach to Dog Training and The Puppy Whisperer. Norma Eckroate has worked produced the DVDs, The Dog Whisperer: Beginning and Intermediate Dog Training and The Dog Whisperer, Vol. 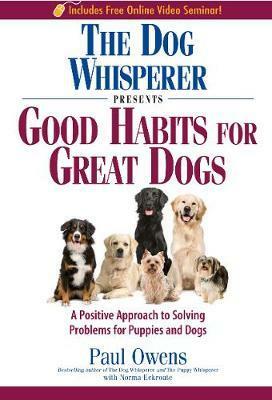 2: Solving Common Behavior Problems for Puppies and Dogs.